Santee Lodge 116, Order of the Arrow hosted this year’s Dixie Fellowship at Camp Coker. 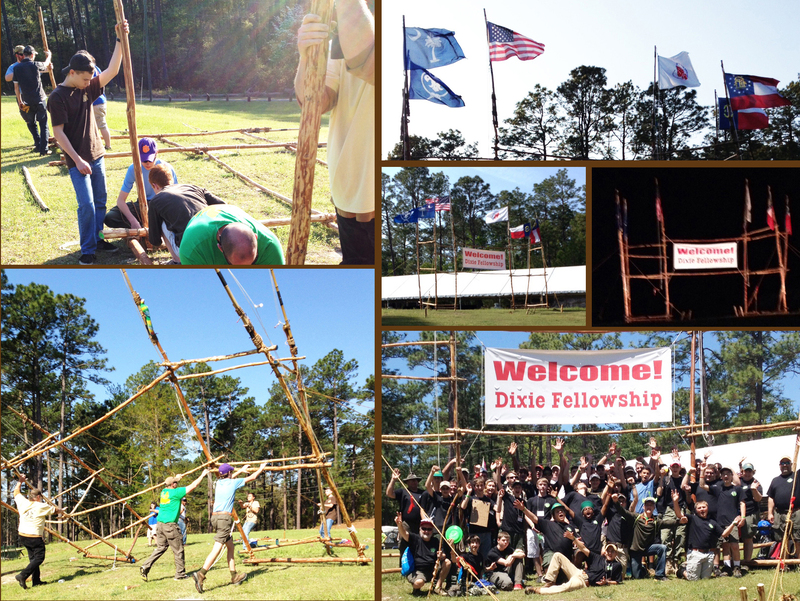 With the input of the Dixie Design Team comprised of Pioneering Crews from Chicora, Iswa and Attakwa Chapters, Arrowmen erected a 24 foot six flag, banner gateway flying the American flag, the Order of the Arrow flag, the World Scout Crest flag, and the state flags of NC, SC, and GA. These six flags surrounded a 10’ banner welcoming everyone to the Dixie Fellowship! 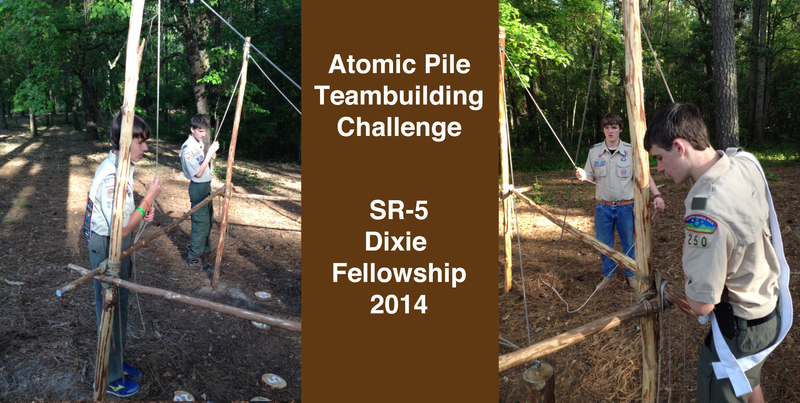 The OA Pioneering Crews also built a 12’ Swing Boat and 10’ Atomic Pile for intermittent fun during the Fellowship. The Swing Boat was situated near the Trading Post. The Atomic Pile challenged Scouts behind the Trading Post.